German manufacturer Metz has released a number of lighting accessories for their Mecastudio BL studio flash range. Aimed at the beauty and portrait photographer, the modifiers include a beauty dish, light diffuser, barn doors and a honeycomb grid. 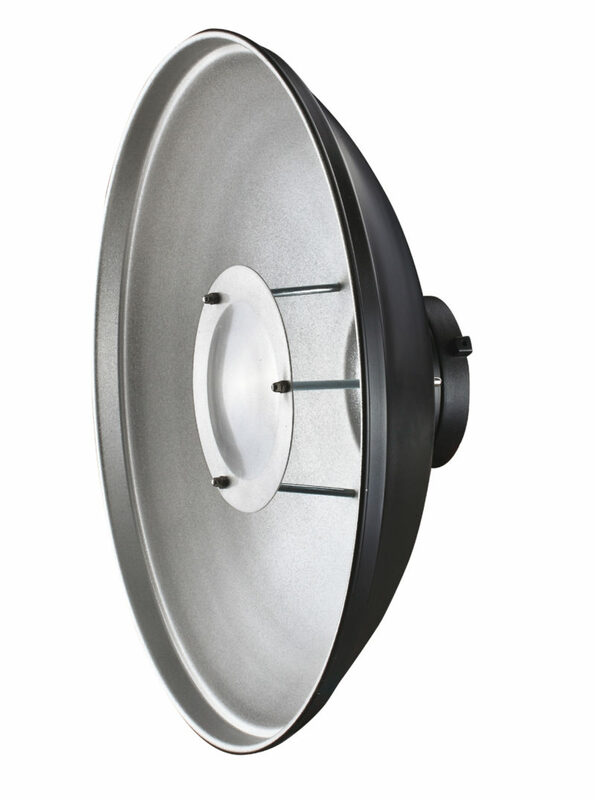 The 40cm beauty dish BE-40 is silver lined and will allow the photographer to control the light’s directionality and quality. The parabolic shaded metal reflector distributes the light to a focal point to wrap the light around the subject, creating a classic portrait look. The beauty dish is the cornerstone of many portrait photographers’ lighting kits; its blend of smooth highlights with open shadows is ideal for producing buttery skin tones and round catch lights in the eyes. All the accessories fit on to the BE-40 to further enhance lighting possibilities, clarity and efficiency. The LD-40 (lighting diffuser) creates an even softer light but maintains directionality and is akin to a two-foot-plus soft box effect. It provides an excellent choice for the beauty and boudoir portrait photographer. The BD-40 (barn doors) help flag the light to ensure it is directed where required. Targeting a specific area which is ideal for creating rim lighting effect and accent lighting. The HC-40 (honeycomb grid) improves light direction, alters the intensity of the light output controlling spill. It is particularly useful for focusing light on the subject in a confined space or where the subject is close to the background. 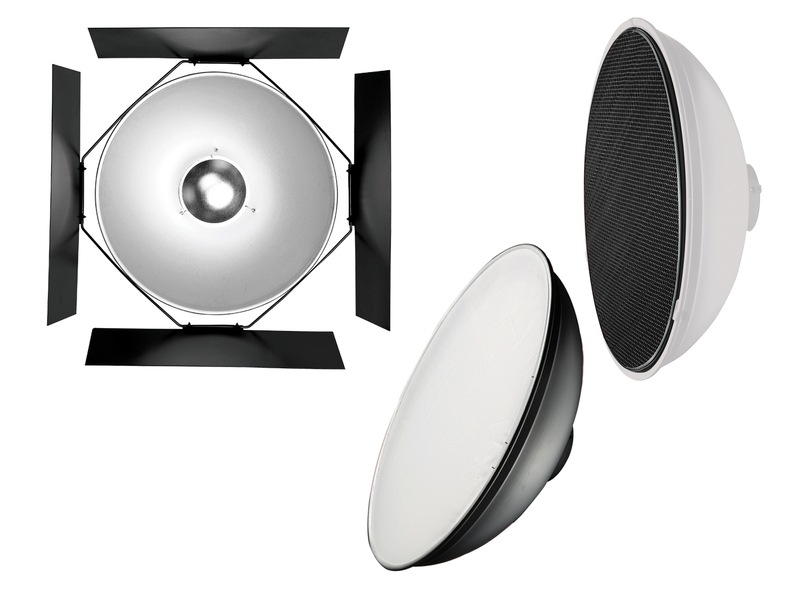 Overall the new Metz beauty dish and optional accessories should allow you to produce different looks from a single light source. A beauty dish is a must-have for the portrait and beauty photographer whilst also invaluable if shooting small produce and other applications in which the structure of the subject should be emphasised. Further details can be found on the Metz website.